This town in China, featured in a 60 Minutes YouTube video ( use tubemate youtube downloader for downloading below video), has become a dumping place for very toxic e-waste. They burn the waste to extract the bit of copper from discarded electronics. Once burned, the plastic releases bromine which creates dioxin – an extremely toxic, cancer-causing agent. Each year, hundreds of millions of laptops, mobile phones, hard drives and other electronics are discarded by corporations, government institutions and consumers. A mere 18% of these are likely to be properly disposed of, which means that an alarming amount of them end up in landfills. This is just one of the reasons that Securis is R2 certified. The electronics that we handle are stripped of sensitive data and then processed in an environmentally-friendly manner. 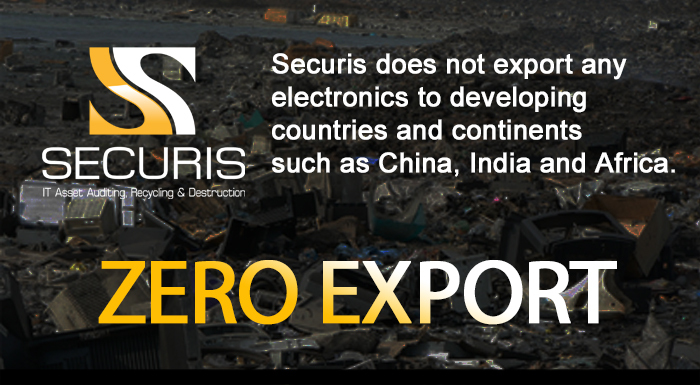 What it boils down to is Securis’ R2 certification ensures that our clients’ equipment doesn’t end up in a landfill. And that’s good for all of us.